Warbler identification has often been a bane to new and experienced birders, albeit a colorful one. Many brightly colored males are easy enough to identify when provided a nice look. But good views are often not the norm and in the fall many warblers plumage becomes a much duller version of their spring counterparts. Mix in young birds and identification can become downright frustrating. 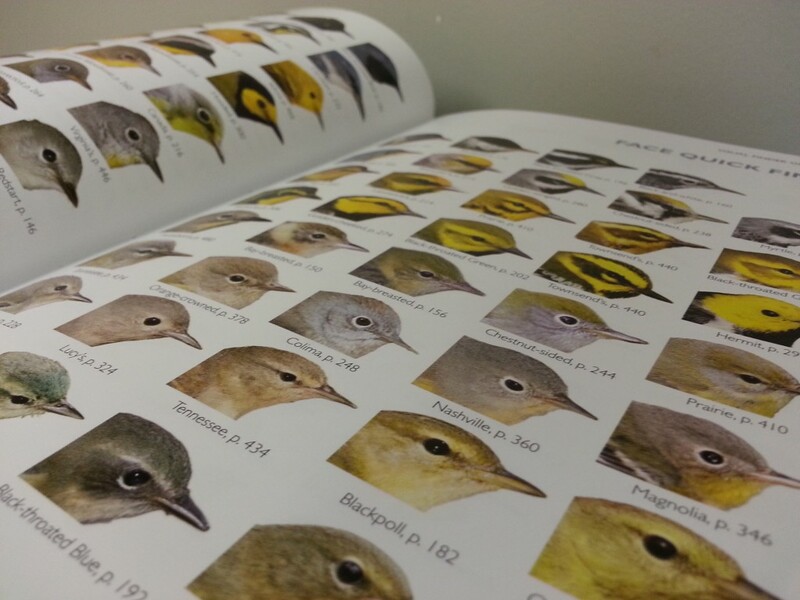 The Warbler Guide by Tom Stephenson and Scott Whittle is the most comprehensive guide to becoming an expert on warbler identification. There are so many wonderful features in The Warbler Guide it is best to start with the section called “What to Notice on a Warbler” which covers the various parts of warblers and what you should observe. Color photographs show details of eye-lines, wing-bars, bill size, contrast, color, cap, rump, breast, etc. A rather large section covers “how to listen to warbler songs” and has sonograms for all the warbler songs. The song finder chart organizes warbler songs into categories such as “trilled”, “buzzy”, “clear, etc. with descriptions and comparisons to similar songs. The “visual finder guides” provides several views of the warblers: face, side, 45 degree, underneath, east, west, and fall plus all the undertails. These provide a great tool to narrow down identification quickly and to use as a study aide. How did I use this book? 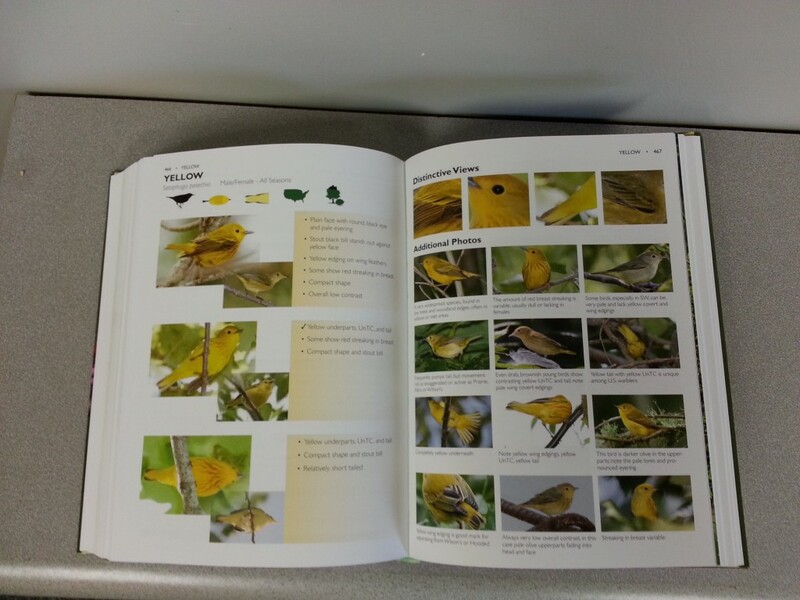 I started with a warbler I am fairly knowledgeable about, the Yellow Warbler, and studied the entire section. Then I chose a warbler I have never seen but want to, the Worm-eating Warbler. Each species has numerous photos including distinctive views and similar species. Maps and graphs show distribution and timing of migration as well as where subspecies are located. 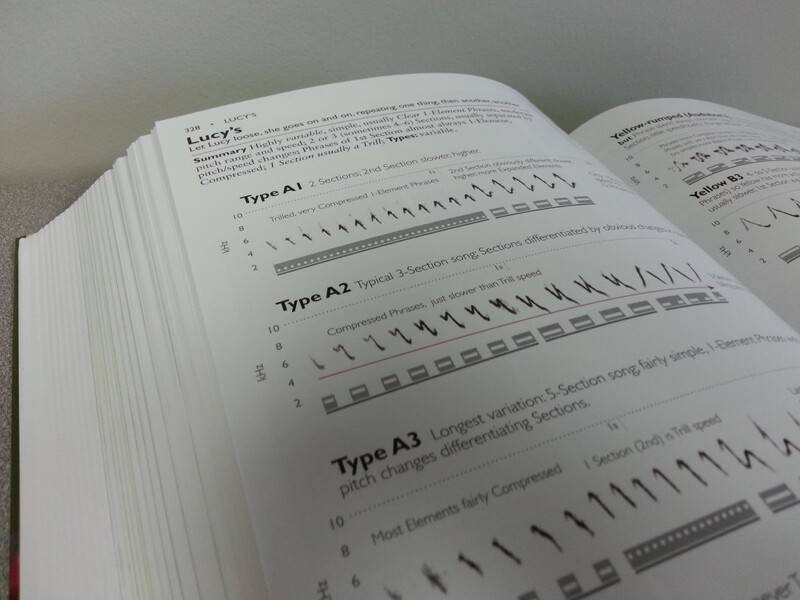 Lastly, several sonograms show the species various songs as well as similar bird songs. If you just end up paging through all the species, you may get overwhelmed. But if there are species you want to learn more about or one you recently saw, I’d start there. The more at-home learning you do, the easier field identification gets. And this book isn’t really made for the field but as a before or after identification study guide. 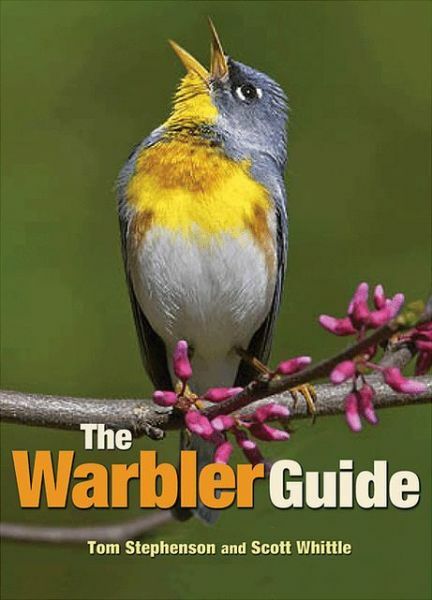 The Warbler Guide is a must-have book for every birder. It is comprehensive, easy-to-use, and absolutely gorgeous. Disclaimer: we received a copy of this book from the publisher to review on Birdfreak.com. The links are to our Amazon affiliate account.